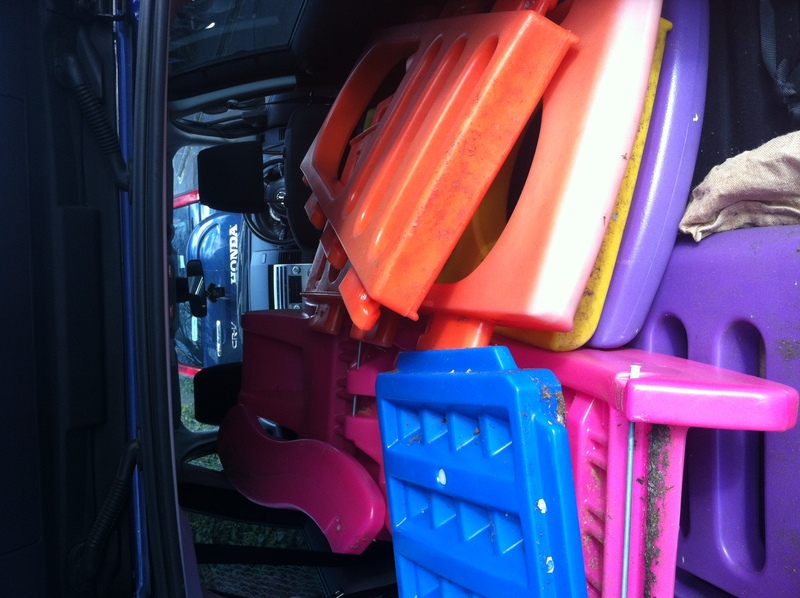 As some of my longer term readers may recall I posted back in November last year about our search for more family friendly transport and how it was time to grow up and move away from our very comfortable and seemingly practical but actually rather small Audi A4 Avant and hugely reliable and faithful Toyota Corolla. Whilst it has been useful for us to have two cars whilst Mrs Bunny Chow has been on maternity leave the grim reality is that it’s hugely expensive and even with Mrs BC at home the second car was still only being used at most once or twice a week, so with the dreaded triumvirate of MOT/Annual services, Insurance and Road Tax renewals looming in the near future we renewed our search. I spoke before about numerous options and whilst it was a fun idea trying to justify getting a 4×4 especially with snow on the ground outside we really couldn’t afford one of the big ones unless they were starting to get a bit old and a bit tatty and things like the Honda CRV, Toyota Rav4 and Landrover Freelander are just too small to meet our need to carry two children a dog and some detritus, not forgetting the odd friend or family member. So with reality in check I began looking at our options, I already outlined that anything French or made by General Motors was off the shopping list because a man can only be pushed so far, but I was quite taken by some of the Korean offerings, at least on paper. I went and looked at a Kia Sedona which is huge and very comfortable but it’s biggest failing is that the rearmost seats don’t fold flat and need to be removed and stored somewhere else when not in use or you need some boot-space. I have to admit that I also wasn’t overly enamoured with the perceived quality of the interior, I know that this is a practical decision but beige velour was perhaps taking things a mite too far. I also looked at a couple of Hyundai Santa Fe’s which I liked a lot, they were still a little bit scratchy plastic on the inside but nothing I couldn’t live with, the reasons that they fell by the wayside though was that they were wide enough for three proper seats in the back but lacked those sixth and seventh seats and concerns over fuel economy/running costs of that unnecessary 4×4 system. I also looked at and dismissed all of the VW Group options like the VW Sharan, Seat Alhambra and VW Touran based on expense and lack of boot-space with the sixth and seventh seats in place. I hadn’t entirely dismissed the option of one of Ford’s S-MAX or Galaxy models but the local main dealer didn’t seem all that keen on winning our custom and most of the examples I found outside of their group and within budget were either private sales which would mean us having to sell the old cars ourselves which would mean going through the aforementioned expense of MOT’s, Servicing and a general scrub up. We also had the problem with the older models sharing the seating issue of the Kia Sedona in that the rearmost seats would need removal if not in use. I then came across something called the Mazda5 which was smaller than the Kia and Ford Options but still gave us seven seats (admittedly only six for any longer journey) that fold flat into the floor, some boot space with all seven seats in place and very handy sliding rear doors. 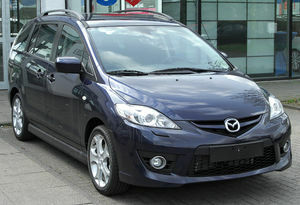 I didn’t know much about the Mazda5 but established that it was built on Ford’s global C1 platform which also includes things like the Ford Focus, Ford C-MAX and Ford Kuga, various Volvo’s and the Mazda 3. This seemed like a good bet to me, I already liked the C-MAX but had dismissed it for the lack of a seven seat option and having really enjoyed all of the Focus’s I’ve driven over the years. I booked a test drive which conveniently was the morning after several inches of snowfall allowing me to test the car risk free in what was possibly the worst conditions it would ever have to face. The dealership is a local non franchise who’ve been around for over thirty years and even sold us our Audi. They very bravely handed me the keys and sent me on my way onto a gritted main road which allowed me to give it a bootful and see if I could live with the performance deficit over my beloved Audi and I have to say I was pleasantly surprised, the 2.0l Petrol engine, pushed me along in a perfectly acceptable and maybe even slightly thrilling manner, sure it’s not a sports car but it’s more than quick enough to cope with the conditions in which I do ninety percent of my driving and will even dismiss of members of the proletariat driving Micra’s and other hateful little supermini’s without complaint. After picking up Mrs Bunny Chow and installing my progeny in the rearmost seats, we confirmed that you could indeed still fit three adults in the rear all be it with the middle seat being reserved strictly for shorter journeys, but it does also convert into a toy bin or table or away completely when not in use which is very handy in itself. The drivers compartment on this Furano Limited Edition Sport Model is well laid out with most of the toys you’d expect, climate control (single zone) an in dash 6 cd autochanger which will play mp3 cd’s and innumerable cup holders and cubby holes. The online reviews I have read suggest that the Mazda is behind its French competitors in this area but I certainly didn’t find it lacking. Now loaded up we took the car over some of the area’s less well cleared roads and even ventured successfully into a completely untouched snow-covered car park and the car just continued on with minimal complaint. Yes in comparison to my Audi some of the plastics feel a little cheap, but it is several years newer and has half the mileage of my Audi. It also suits the family better and is a pretty good drive whilst managing not to look like it should be being driven by a gauloises smoking, taxi driving, axe murderer. In other words I was sold on the Mazda5. Being the first example of its kind that I’d seen I held off on making an offer there and then and went to see a newer but base specification model at another local used car dealer but it was grey and without the sporty body kit or toys inside and to be honest it just seemed that although it was slightly lower mileage had had a tougher life than the first car. So with that in mind negotiations over trade in values for our old cars and some minor work we wanted done on the new car (the addition of rear parking sensors and new brakes all round) we came to a deal. We should be able to pick it up and say goodbye to our trusty old cars on Saturday. So there you go, you can get a dad car that isn’t a bus or over the top 4×4. Our upstairs neighbour currently has their flat on the market and I’ve now come home two Saturdays in a row to find an estate agent parked in my driveway. The first got a flea in his ear and a friendly reminder to let all of his colleagues know that they are not to park there. Needless to say I don’t think the viewer bought the property as when I got home this Saturday there was a Barnard Marcus Golf taking up not only my parking space but parking in my other car and blocking the space allocated to the upstairs flat that they were showing. Of course being the sensitive caring neighbour I explained loudly and voiciferously that I expected her to move her vehicle immediately. She then wandered back into the flat and said she’d be out in a minute she was just going to finish off the viewing, ummmmm no you’re going to move your vehicle now. Again I somehow doubt the young couple viewing are going to be buying the property. I have now formally complained to the local branch of Barnard Marcus and to give credit where credit is due, that afternoon I recieved a message from the agent doing the viewing apologising for any inconvenience and the local branch manager has been in touch this morning to apologise and advise that she has let all of her team know where they can and can’t park.